The High Desert Heart Institute, one of the most prestigious heart institutes in the United States, became the epicentre for the ground breaking study of l-arginine therapy on the basis of the ProArgi-9 Plus formula designed by Dr. J. Joseph Prendergast. During the early part of 2009 the study was conducted with 33 congestive heart failure patients that were from the Congestive Heart Failure Unit at the institute. This 90 day extensive evaluation has drawn enormous international attention. Dr. Siva Arunasalam authorised this study and paid for all the testing and patient care. Over the course of the 90 day High Desert Heart Institute study, each patient received extensive diagnostic testing which generated approximately 7,000 points of data. All patients participating in this study had exhausted their maximum pharmacological and medical treatment and therefore there was nothing further they could be offered outside of a heart transplant. 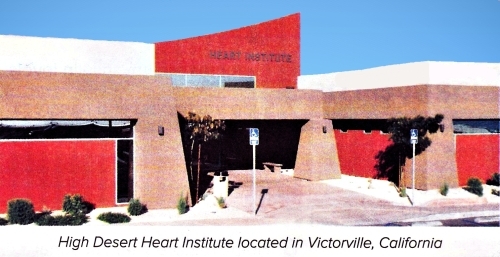 Angelo was a patient at the High Desert Heart Institute who was invited to participate in this study because of significant cardiovascular issues. Angelo worked for Litton Industries as a Director of Product Support that oversaw 100 subsidiary companies. On December 20th 2008 Angelo Cici experienced a congestive heart failure, pacemaker failure and renal failure all at the same time. His wife called the paramedics and Angelo was transported to Intensive Care where life saving surgery was performed on his heart. After coming back from the hospital he relapsed in 4 days and ended up in the hospital once again. This pattern kept repeating itself over and over again. Not wanting to exhaust his and his wife’s life savings on medical expenses, Angelo made the difficult decision to stop all life supporting precedures and go home to die. At this stage Angelo was invited into a clinical study that had just been started at the High Desert Heart Institute.